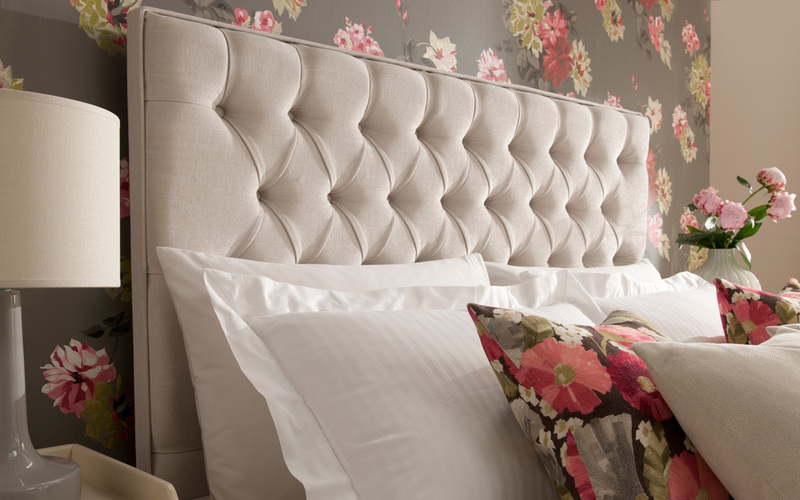 Add a touch of luxury and sophistication to your bedroom with the Rest Assured Florence Headboard. Available in a sandstone or tan finish, the Florence features beautiful linen upholstery in a classic Chesterfield style. A stunning focal point for any bedroom!